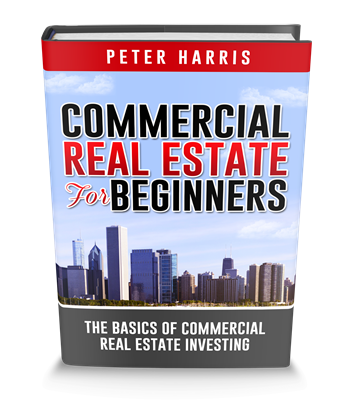 Discover what no classroom would ever teach you on how to make an offer on commercial real estate. You’ll learn the absolute essential things you need to make an intelligent offer, including the 4 phases you must go through BEFORE you finalize your offer. Most importantly, the lessons in this video will educate you on how to avoid overpaying as well as the dreaded negative cash-flow scenario that some commercial investors experience when they first purchase. Lastly, you’ll get access to a file that step by step, shows you exactly how to make the best offer on any commercial property. So you’re ready to make an offer on a commercial property? What information are you going to base your offer amount on? A broker brochure is a glossy and beautiful pamphlet that lists the price and property information? You should never use it to base your offer off of! If you use the broker brochure to base your offers, you’re going to overpay. Likewise, if you solely base your offer on the seller’s three years of financials, you will experience lower cash flow and a lower return on investment. These four phases are four different perspectives of looking at the deal. You must use each of these to ensure that you get the best, most profitable deals available. The broker brochure is a multi-page booklet with beautiful photos, prices, demographics, and other useful information. You will typically receive three years of seller financials to show the income, expenses, and NOI of the commercial property. A performa is the best case scenario for a property. First of all, the broker brochure will include the performa, but it important to research and determine your own performa. Determine where the rents can go in your opinion, as well as any expenses you can reduce. Phase four is your offer. It’s based upon your numbers, it’s based upon your goals. Okay? The last phase is the numbers and information based off of all of your research and goals. You need to know what the property’s income has been over the last 12 months, and the last 3 years, including the current month. This category is where a lot of new investors really mess up, so pay close attention to your expenses. You have to really learn to calculate these expenses, so that you can distinguish good deals from bad deals. Net Operating income, or NOI is a very important number. As the NOI goes up, the property value goes up. As NOI goes down, property value goes down. So this is the driver of your commercial property value therefore, how you can force appreciation. Why is the mortgage so important at this point? Because income minus expenses equals NOI and NOI minus your mortgage is your cashflow. You must know the mortgage rate in order to determine your cashflow. I recommend taking your deal to a few lenders in order to establish what your downpayment and interest rate would be so that you can calculate what your yearly mortgage would look like. Use the previous calculations to determine the property’s cashflow. This is the term that determines how fast your money is moving. A high cash and cash return means that your money is moving fast. A low cash and cash return means that your money will be staying in investment for a long time. In our investments, we like to target a double digit cash and cash return. It is possible. Don’t let anyone else tell you that it’s not. Cap rate is defined as your return on investment if you were to pay all cash for your property. Does the property need repairs or new appliances? Capital expenses are the expenses not included in the typical costs of a deal. You need to determine these expenses prior to making an offer on the deal. For more information on these 7 terms you can view my video, ” The Seven Commercial Real Estate Terms You Should Know”. This is an introduction to the deal. It is a pretty little sales tool that’s purpose is to evoke emotion, to encourage you to take action. Unfortunately as emotion goes up, intelligence goes down. Therefore, we do not make offers based off the broker brochure. Do not base your calculations off what the broker brochure says the property’s income or seller’s financials are, because these are not always accurate. You must do your research to get a better idea of the true value number. The seller’s motive is to make the numbers look good enough for the property to sell. You should always determine your own numbers and calculations for each commercial property deal. Once you have calculated these seven essential costs and numbers, you will be ready to make an offer, based on what works for you. Come up with a cash and cash return that you are happy with, and also a cap rate that works for you. Next, calculate in all of the expenses, and come up with a conservative number that you can afford to purchase the property at. Upside potential means that you have the ability to raise rents over time and the ability to reduce expenses. You might even have the ability to chargeback tenants for utilities. All three of these things are going to increase your NOI. 4. The Property Must Be in a Stable and Growing Neighborhood. 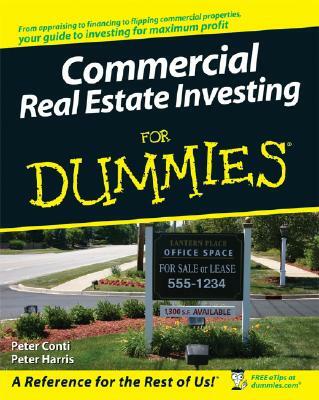 Now again, if you want to get further understanding of how this works, you need to watch the video that I talked about earlier called, “The Seven Commercial Real Estate Terms You Should Know“. Watch that video and review it. You will gain credibility, because professionals know a valid offer when they see it. Lastly, I would like to give you a bonus to the lesson. It’s a download of just a PDF that’s will break down how to come up with the actual numerical offer.